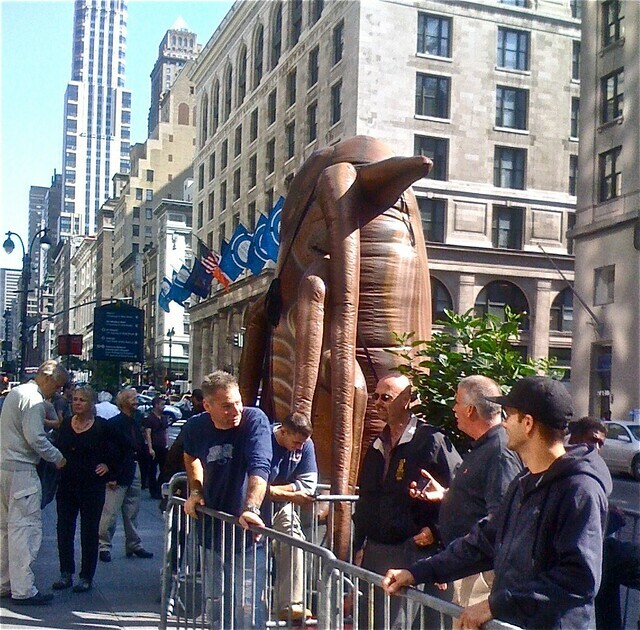 Union picketers and extra-large bedbug, Fifth Ave. and 34th St., 9-22-10. For years, construction trade unions have picketed non-union job sites accompanied by a giant inflatable rat. But today, in front of the tourist entrance to the Empire State Building, members of what I think is the glaziers union picket with their new mascot, a jumbo, inflatable version of New York City’s current it-vermin, the bedbug. Tres chic, guys.